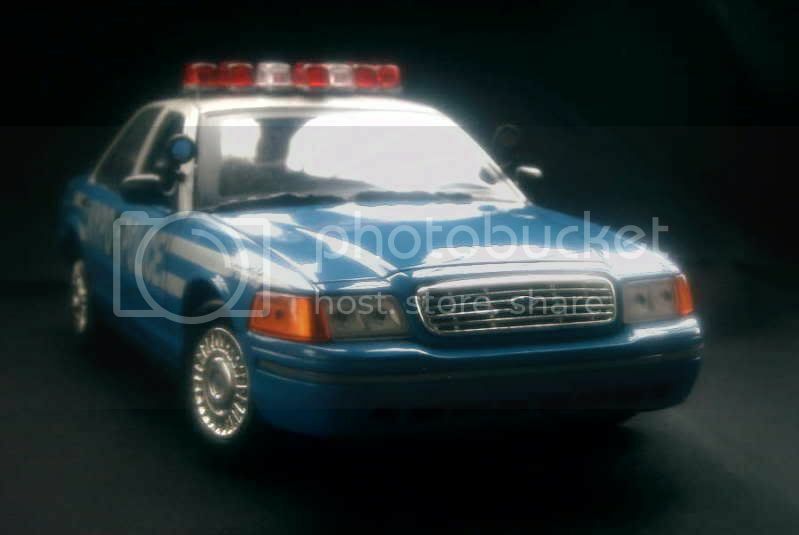 Quite discreetly, Ford has recently pulled the plug on the very last of the “real” American cars, when the final Ford Crown Victoria left the assembly line. So more than a simple post, here is an homage of sorts to an era now over. To say the truth, even when the Ford Crown Victoria and its rival the Chevrolet Caprice appeared twenty years ago, there were doubts about the future of these huge dinosaurs, still built with separate frames and fitted with transmissions to the rear wheels. Somehow, they succeeded in surviving longer than many may have thought, thanks to the faithfulness of many Floridian or Californian seniors, who have never driven anything else than this type of cars for their whole lives, but whose market was getting smaller year after year; and even more significantly due to the high demand from law enforcement agencies and taxicab operators. 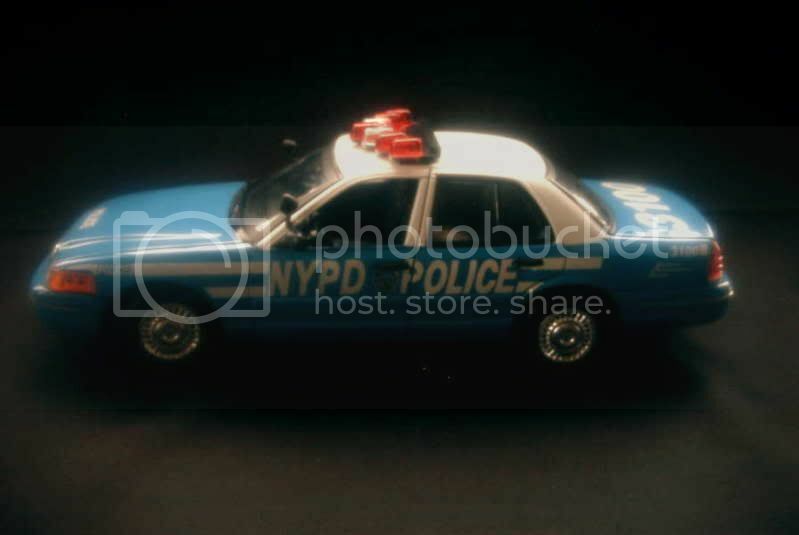 In March 1991, both the Ford Crown Victoria, which dropped at this point its traditional “LTD” name, and its fancier counterpart the Mercury Grand Marquis received a brand new body, more rounded and aerodynamic than their dated predecessors, but still based on the “Panther” chassis used for full-size sedans since the late Seventies. This followed a similar move by General Motors, which had just updated its line of full-size models – Chevrolet Caprice, Oldsmobile Custom Cruiser and Buick Roadmaster, and the earlier introduction of Ford’s luxury model, the Lincoln Town Car, also based on the Panther platform. Despite its older underpinnings, the Crown Victoria enjoyed a brand new 4.6-litre “modular” engine, and optional ABS and traction-control systems. Its styling was an apt balance of modern and conservative, and this proved perfect as the bathtub-like body of the Caprice had been poorly received. Within months, the Crown Victoria led the market well ahead of its GMC rival which, after a botched restyling, disappeared following the 1996 model year. From then on, the Crown Vic’ became the only option for a traditional V8 automobile in its price range. For the 1998 model year, the styling of the Crown Victoria was largely revised, and the car benefited from an improved suspension. 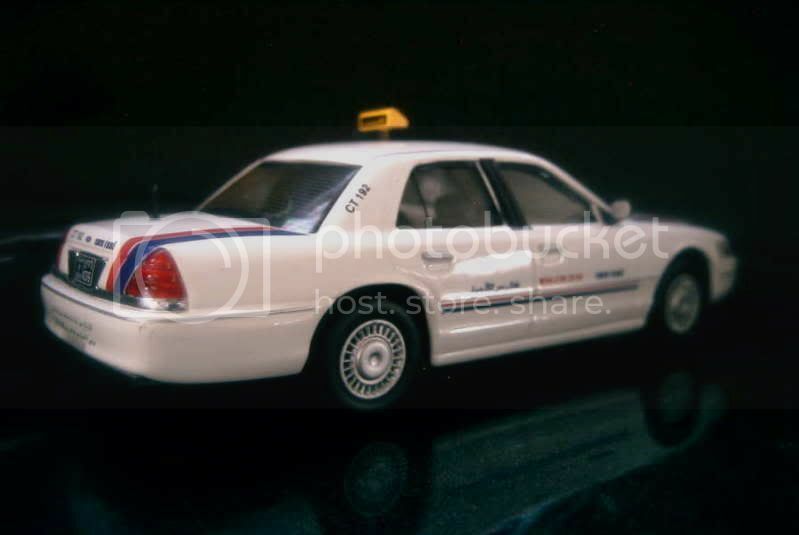 While the general public was less and less attracted by the heavy car, it was still hugely popular with policemen – to whom Ford proposed the Crown Victoria Police Interceptor version – and taxi drivers. It also enjoyed a healthy following in the Middle East, which actually had soon become its only export market. 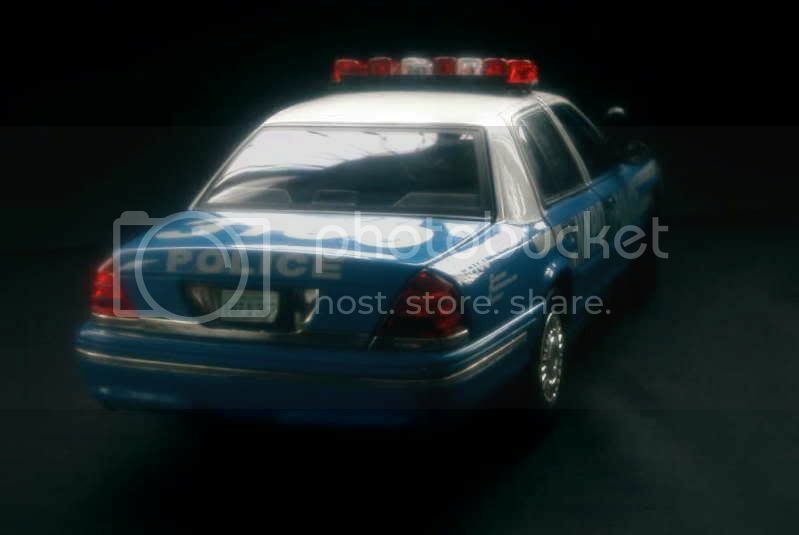 At the end of the 2007 model year, the Crown Victoria stopped being available to private buyers in America, those being redirected towards the Mercury Grand Marquis, and remained only available for fleets and export markets. In 2008, Ford decided to concentrate the production of all its Panther-based cars in its St. Thomas plant. The Canadian unions were rather anxious about the future of the car, or more specifically those of thousands of workers at this Ontario factory. Ford reassured them by announcing that large amounts of money would be invested to update the car. This was nothing but a lie. 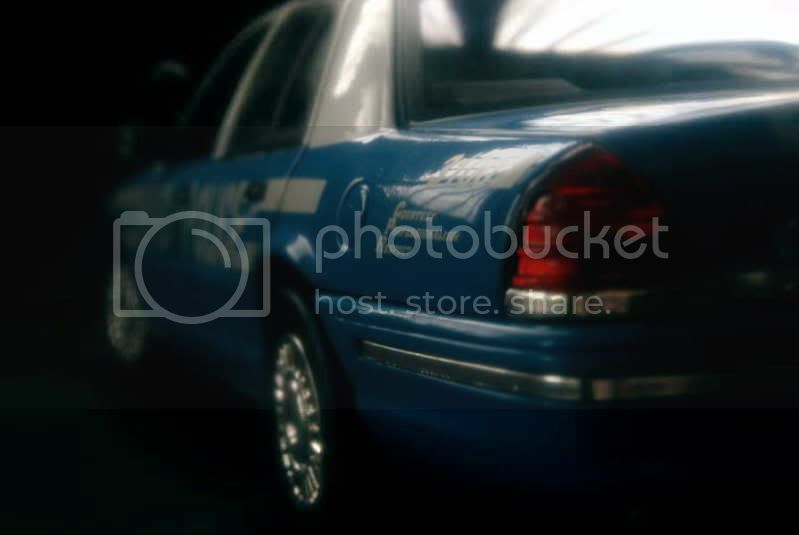 The last Mercury Grand Marquis was produced in January 2011, the brand being discontinued. It was followed by the last Lincoln Town Car in August, the car not being in conformity with new safety regulations imposed by Washington on all cars built for model year 2012. 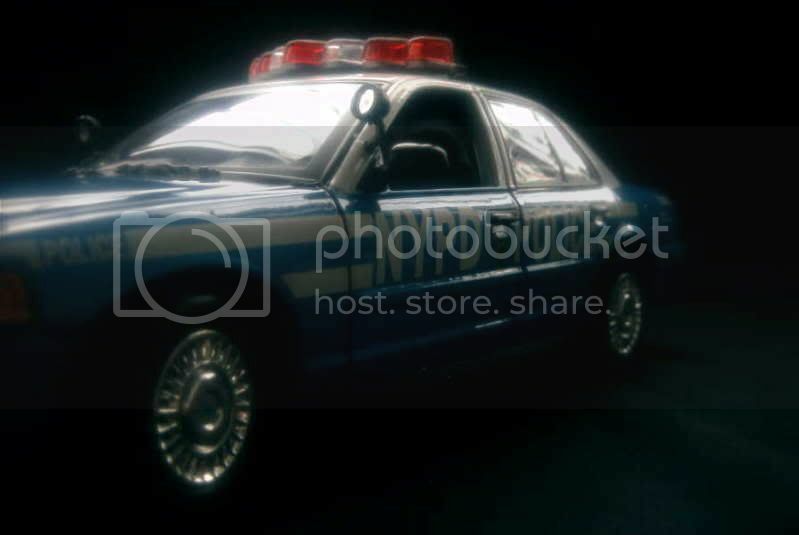 Though the Ford Crown Victoria was also affected by these new rules, it was maintained in production until September to fulfil foreign orders. 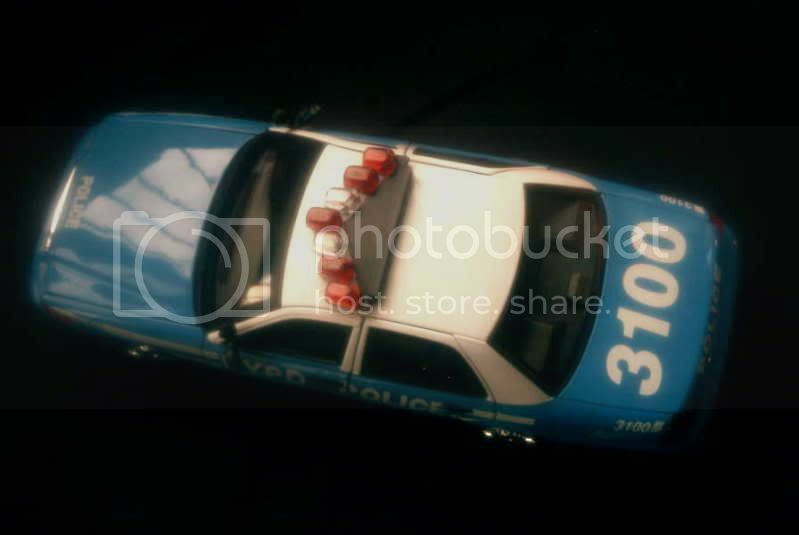 On September 15, 2011, the very last Crown Vic’ left the assembly line of a factory due to close. A nice surprise among Motor Max range of traditionally poorly assembled and painted die-casts. Their Crown Victoria certainly isn’t outstanding, but very few reproaches can be made to it. A rare feature for a model in this price range, it offers four opening doors. My rating is 13/20. 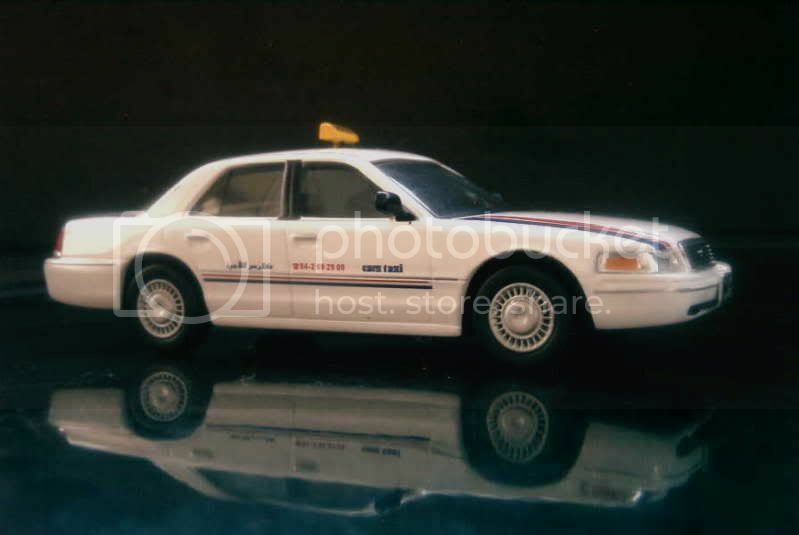 Altaya could hardly avoid proposing a Crown Victoria in its series about world taxies and cabs, as the large Fords have replaced the traditional Checkers as the iconic transportation of the New Yorkers. 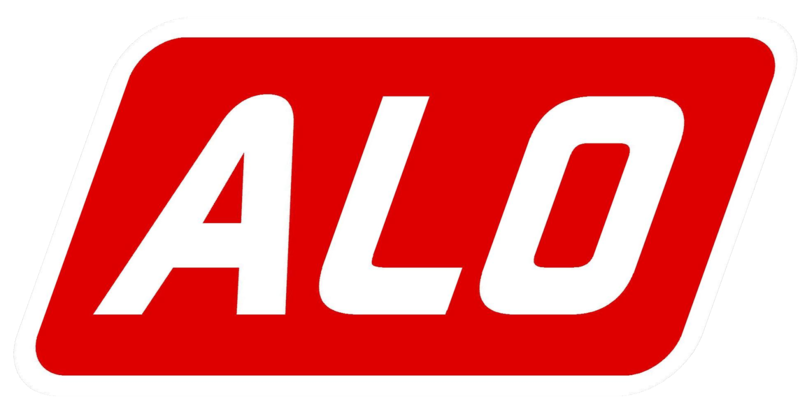 Its die-cast has been provided to the Italian distributor by Ixo. Again the rendition of the large car is accurate enough to be worth 13/20. 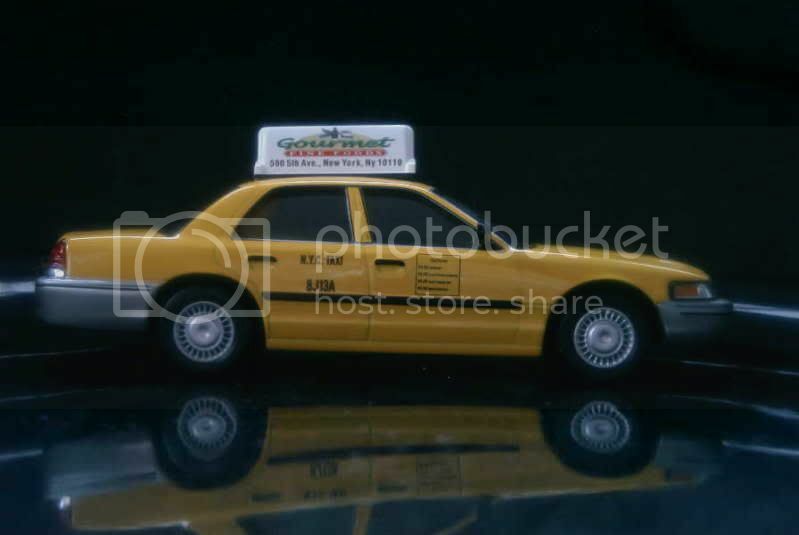 In its pursuit for more money pocketed from its faithful customers Altaya has extended its taxi series by offering new decorations to models already proposed earlier in different forms. 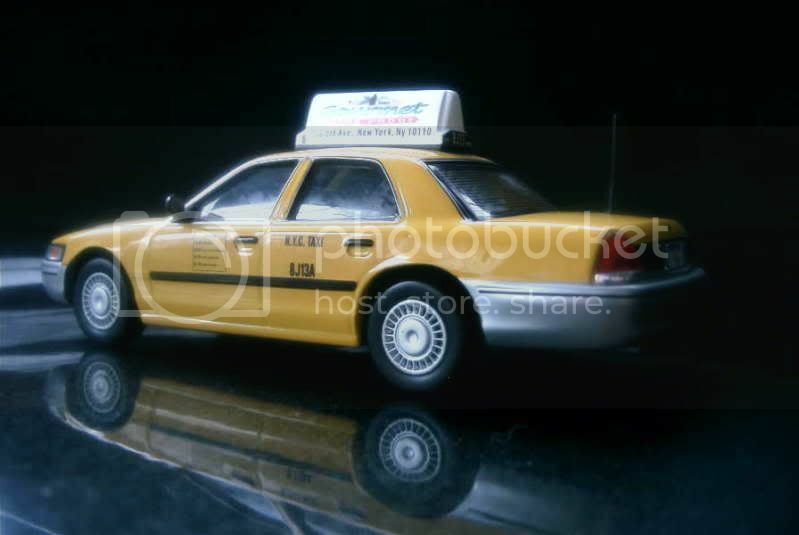 The Crown Victoria was one of those, being sold a second time as a Dubai taxi. Decoration is somewhat simpler than its New York’s counterpart’s, but overall level of quality still deserves a 13/20. i liked the 1/18 version with openable rear doors, in some photos they seem to be the real car! 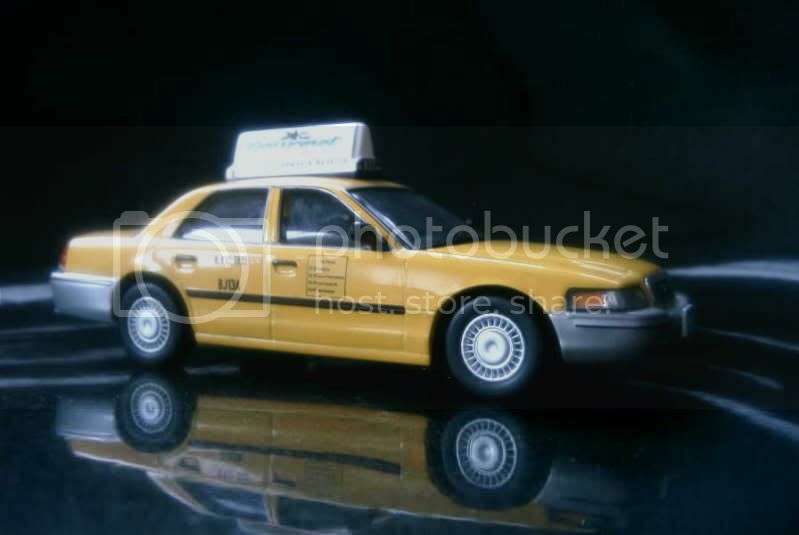 anyway they are nice with the roof accessories for taxi/police applications. 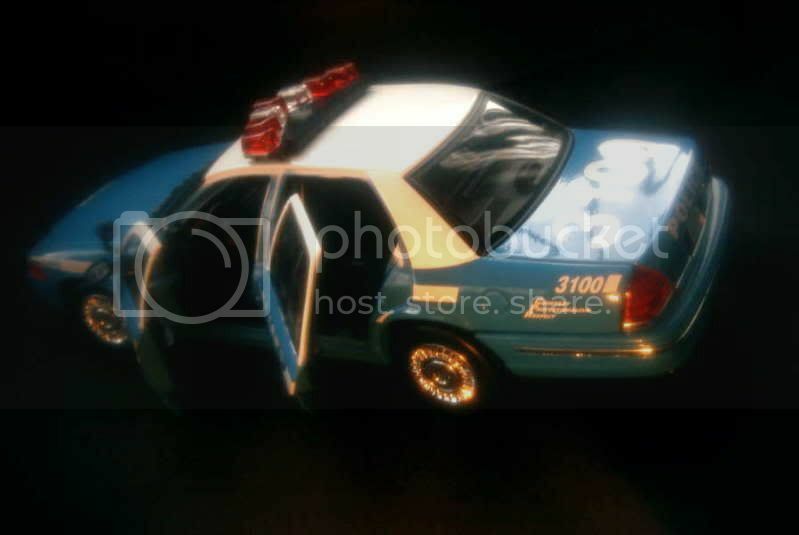 I like this Ford model where normally appear in New York City as a police car or yellow taxi. The shape or the porpotion of the car just blend perfectly with the American culture and surrounding. One of the most famous car in USA! Police vehicle, taxi, family car it is a very used car!! Very resistant and pretty fast I heard! Thanks to all three of you for your comments. I think you perfectly summed up the place of this car in American culture.